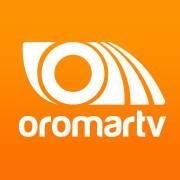 General TV Channel / Oromar Televisión is an Ecuadorian subscription television channel launched on November 1, 2010, operated by Sistemas Globales de Comunicación HF Global SA. The channel was launched on June 28, 2010 as a test signal, until it officially began broadcasting on November 1 of the same year when it issued the election and coronation of the Queen of Manta 2010. The programming of the channel is of generalist cut and most of it are own productions, along with the retransmission of series imported from other foreign channels. Oromar TV obtained the rights to broadcast the 2014 Brazil Soccer World Cup and has the rights to the matches of the A and B series of the Ecuadorian Soccer Championship since 2013. In 2015, the channel acquired the rights to the South American qualifiers for the World Cup. Football Russia 2018.